TRENTON –Attorney General Christopher S. Porrino announced that an Essex County man was sentenced to state prison on November 4th in connection with a major international carjacking and stolen car trafficking ring that stole high-end cars in New Jersey and New York and shipped them to West Africa. The man was indicted earlier this year in “Operation 17 Corridor,” a joint investigation led by the Division of Criminal Justice and the New Jersey State Police, with assistance from the Port Authority of New York & New Jersey Police, ICE Homeland Security Investigations and numerous other agencies. Most of the defendants were arrested on Oct. 27, 2015, when the partnering agencies broke up the theft ring. Ninety stolen cars worth more than $4 million were recovered in the investigation. 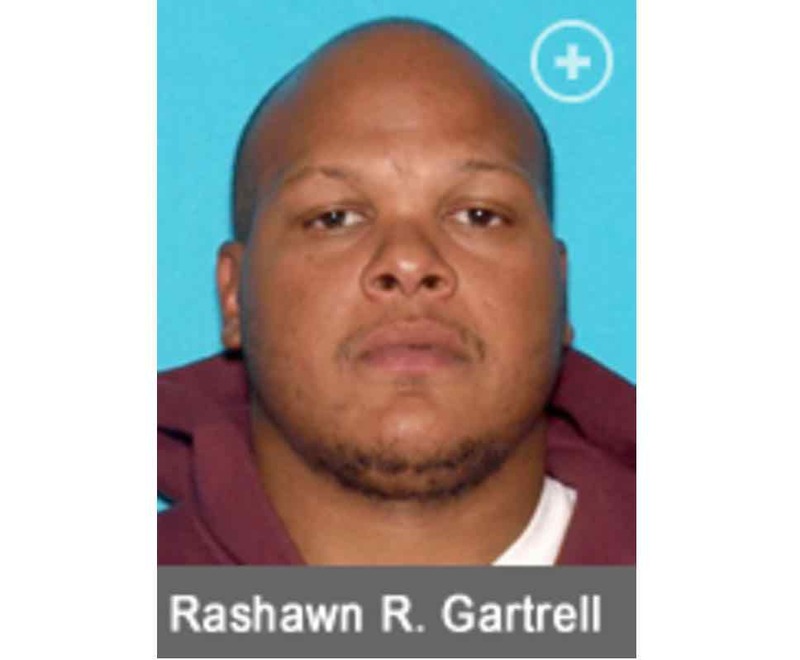 Rashawn Gartrell, 37, of Irvington, was sentenced November 4th to 12 years in state prison, including five years of parole ineligibility, by Superior Court Judge Stephen J. Taylor in Morris County. Gartrell pleaded guilty on Sept. 28 to a charge of first-degree money laundering. In pleading guilty, Gartrell admitted that he was a member of the stolen car trafficking ring and that he transported or possessed high-end stolen vehicles worth more than $500,000, including models of Mercedes Benz and BMW. Deputy Attorney General Debra Conrad took the guilty plea and handled the sentencing for the Division of Criminal Justice Specialized Crimes Bureau. Two other defendants in the case were sentenced earlier this year by Judge Taylor: Julian Atta-Poku, 34, of Queens Village, N.Y., pleaded guilty to second-degree conspiracy and was sentenced on Sept. 30 to seven years in prison; and Alterique Jones, 41, of Maplewood, N.J., pleaded guilty to second-degree racketeering and was sentenced on Aug. 5 to six years in prison with two years of parole ineligibility. Another defendant, Damion Mikell, 33, of East Orange, pleaded guilty on Sept. 13 to second-degree racketeering, admitting that he fenced stolen vehicles for the theft ring. He is awaiting sentencing. The state will recommend that he be sentenced to six years in prison, with two years of parole ineligibility. The ring that was dismantled the Attorney General’s Office and its partners in Operation 17 Corridor operated based on demand for specific vehicles. The types of vehicles frequently sought included various models of Land Rover, Mercedes Benz, BMW, Maserati, Porsche, Jaguar and Bentley. Some cars were taken through carjackings, while others were stolen from locations where the thieves were able to steal them with one or more of their electronic keys or key fobs, which are critical to the resale value of the cars. A state grand jury indictment returned on April 28 charged three men as leaders of the auto theft trafficking ring. Eighteen other defendants were charged who allegedly filled various roles in the ring, including carjacker, car thief, wheel man, fence, shipper and buyer. Shippers would load the cars into shipping containers, which were taken to ports for transport by ship to West Africa. Of the 90 vehicles recovered in Operation 17 Corridor, 23 were recovered at ports used by the ring, including Port Newark, Port Elizabeth, Global Terminal in Bayonne, and the Howland Hook Seaport in Staten Island, N.Y. The ring operated in Rockland County, N.Y., and numerous counties in New Jersey, including Morris, Bergen, Essex, Union, Hudson, Monmouth, Middlesex, Hunterdon and Somerset. Valuable assistance also was provided by the National Insurance Crime Bureau. The lead prosecutors for the Division of Criminal Justice Specialized Crimes Bureau are Deputy Attorney General Debra Conrad, Senior Counsel in the Specialized Crimes Bureau, and Deputy Attorney General Danielle Scarduzio, under the supervision of Deputy Bureau Chief Jacqueline Smith and Bureau Chief Jill Mayer. The investigation was conducted for the New Jersey State Police by members of the Interstate Theft North Unit and other members of the Intelligence and Criminal Enterprise Section, including Detective Cory Rodriguez, who is lead detective, Lt. Ronald Micucci, Detective Sgt. 1st Class Robert Tobey, Detective Sgt. Aaron Auclair, Detective Sgt. Jeovanny Rodriguez, Detective Sgt. Anthony Aguanno, Detective Sgt. Pete Stilianessis, Trooper Nicholas Rubino, Trooper Armando Rivas and Trooper Michael Ferrara. Defense Attorney: Robert Guido, Esq., of Clifton.